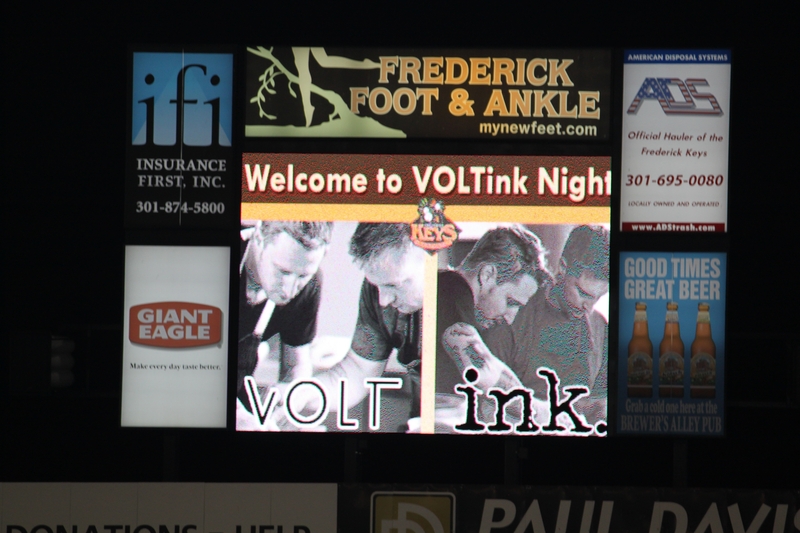 In 2010, the Frederick Keys staged “Volt Night” in honor of the acclaimed hometown restaurant owned and operated by celebrity chef Bryan Voltaggio. 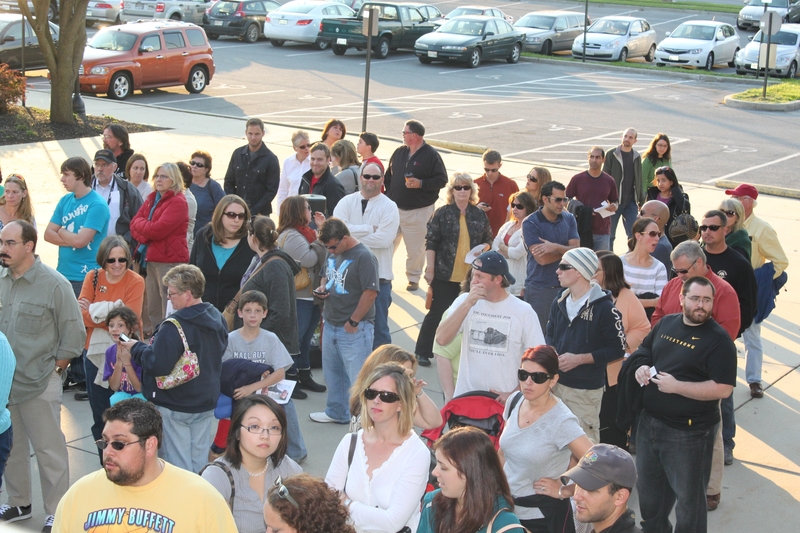 Early-arriving fans received Bryan Voltaggio bobbleheads, but the real draw was the food. 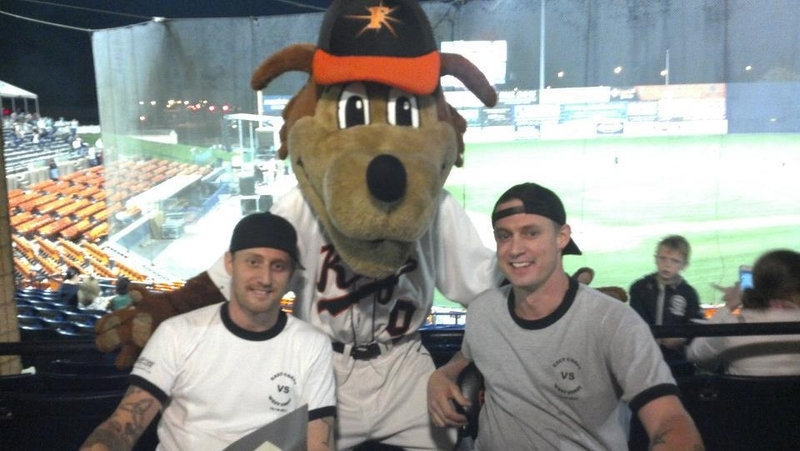 Voltaggio and his crew took over the concession stands for the evening, creating an improbable ballpark menu highlighted by items such as Dipping Dots Gazpacho (which would make for a great band name) and lamb hot dog with chow chow (which wouldn’t). I do not have any photos of Old Bay Popcorn, which is just as well since I’d probably make it my desktop background and then salivate over it in a daily display of craven covetousness. But here are a few of the items on offer. The evening also included a cookbook signing, kickball game, and live music. “Let us in!” demanded the assembled hordes! The Voltaggio Bros were busy, of course. 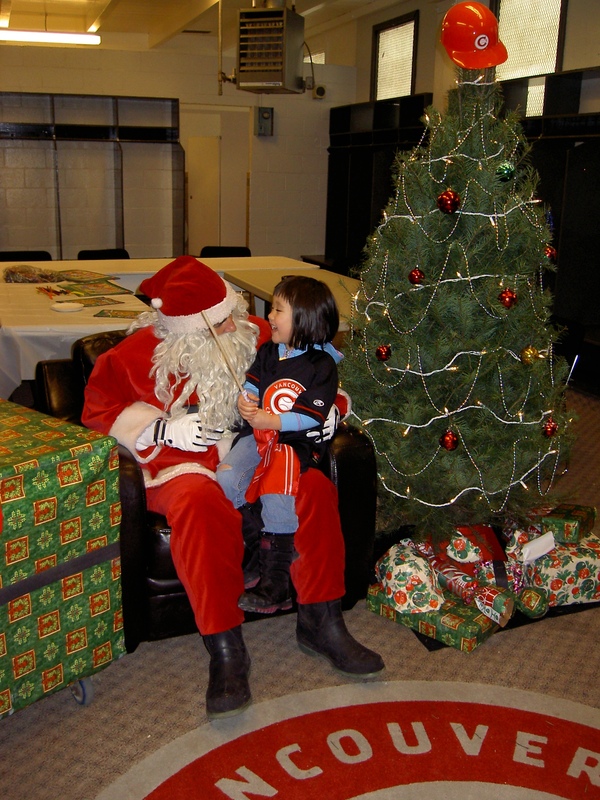 They had food to cook, questions to answer, books to sign and mascots to pose with. Meanwhile, the hoi polloi sampled the concessions, took in some live music, and played (or watched) what had to have been a riveting game of kickball. 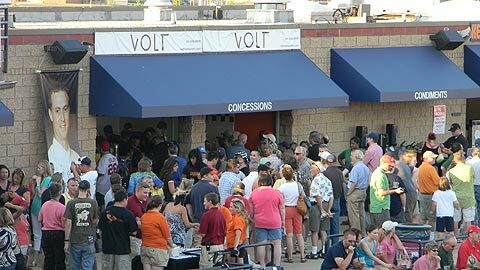 While most teams don’t have hometown celebrity chefs ready and willing to collaborate on ballpark promotions, I still think that this basic “Volt Night” concept should be applied to other markets. 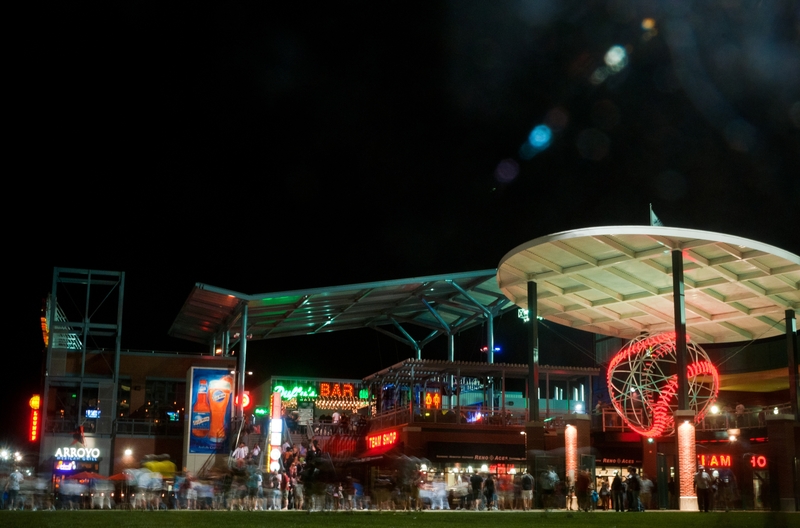 Reach out to the “top chefs” of your community, and have them put a new spin on ballpark concessions for an evening. And, of course, if you have photos, videos, and anecdotes from offseason events then please send ’em along. I am not content without content; the content keeps me content because otherwise I must contend with the gaping maw of the offseason, therein which lies an eternal void. Good thing there are plenty of Minor League team-logo Jack O’ Lantern stencils to focus on. Those things are awesome. Perceptive readers of this blog may have picked up on the fact that I have come down with a case of the “Offseason Blues.” This ailment is not recognized by the mainstream medical community, so it has been hard for obtain the treatment I deserve. But soldier on I must, so soldier on I shall. Today, I seek to derive strength and inspiration by conveying the following smorgasbord of Minor League news to you, the reader. Dare to Be Stupid — Teams across the country are currently taking advantage of October down time in order to plan their 2010 promotional schedule. At least two of these clubs are actively soliciting fan suggestions: the Great Lakes Loons and the Bowie Baysox. In advance of last week’s “Think Tank” planning session, the Loons put out a press release asking that fans submit promotional ideas on the Facebook page of mascot Lou E. Loon. 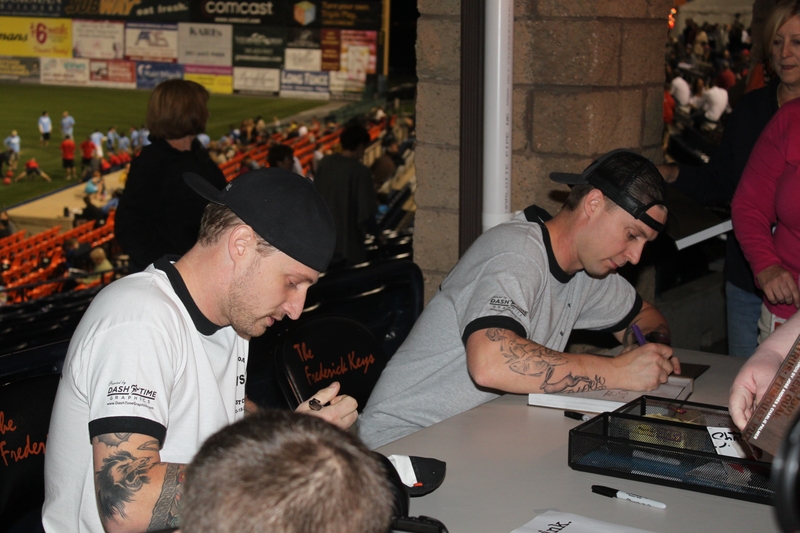 The Baysox, meanwhile, are asking fans to send an email to info@bowiebaysox.com with the subject line of “CRAZY IDEA.” The caps-lock enamored club takes pains to emphasize that NO IDEA IS TOO CRAZY, so don’t be afraid to really let loose. I just gave myself 30 seconds to brainstorm a crazy idea, and the best I could do was “hermit crab giveaway.” It’s been that kind of day. Legends of Baseball Vintage Showdown in San Jose — Former big leaguers — including Hall of Famers Gaylord Perry and Rollie Fingers — faced off against players from the California Vintage Baesball Association. The game was played according to the 1886 rulebook, meaning that Perry could finally throw a legal spitball. Hall of Fame Fight Night in Corpus Christi — Featuring eight bouts and a local Hall of Fame induction ceremony. 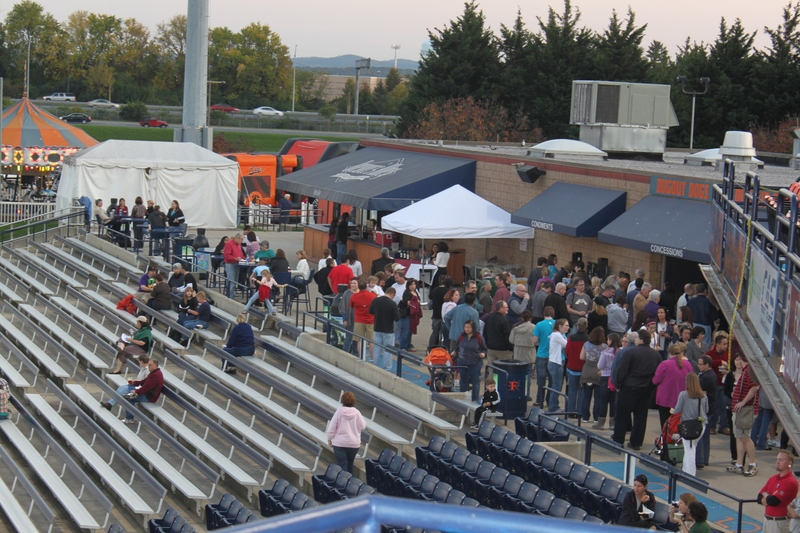 What more could you ask for on a Saturday night in October at a Double-A ballpark? Stone Crabs Celebrate Themselves — In Charlotte (Florida), the Stone Crabs celebrated the opening of stone crab season by offering fans a $50 gift card with the purchase of a season ticket plan. Dave the Horn Guy Update — Every few months, I feel compelled to mention Minor League touring performer Dave the Horn Guy. Rather than question why this is, I instead direct you to THIS LINK. There, you can download Horn Guy ringtones. If you’ve never heard Usher’s “Yeah” played through a chromatically-tuned bulb horn, then you’ve never really lived. 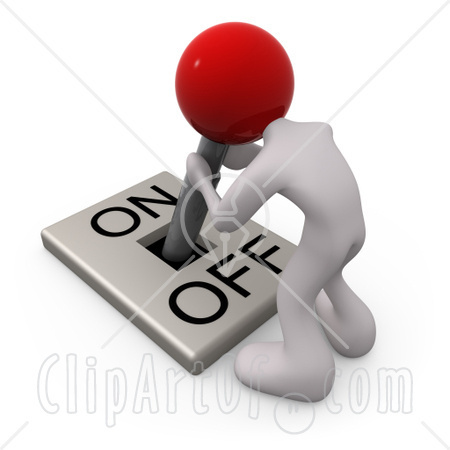 So, as feared, this blog did indeed sputter to a halt for a few days. But now it is time to put the keys back in the ignition, get the engine revving, and see how long it takes to this thing back to cruising altitude. 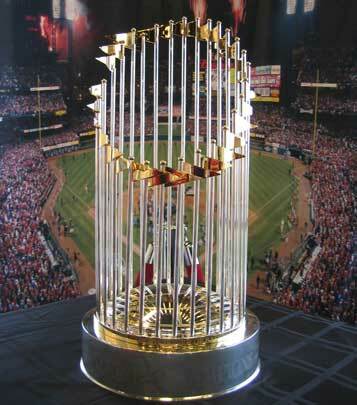 — All in attendance had the opportunity to get their picture taken with the Phillies’ World Series trophy. The pictures were then placed in a commemorative cardboard frame that had been autographed by Phillies manager Charlie Manuel. — A live charity auction, featuring items such as a Veterans Stadium seats, autographed Phillies and IronPigs memorabilia, and Spring Training getaways. The opportunity to be a “Reporter for a Day” at local station WFMZ 69 went for the shockingly low price of $125. Don’t people realize that this is a station that played a key role in bringing the art of Spam Carving to a national audience? 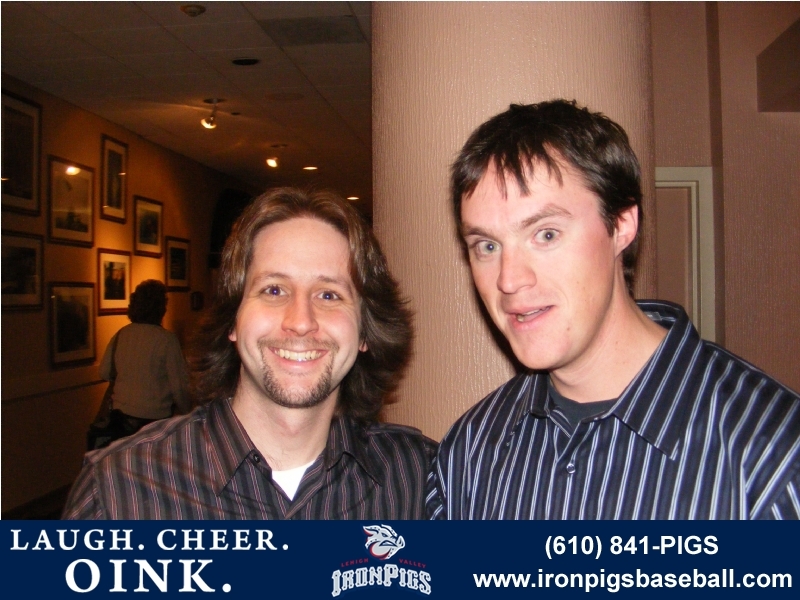 — The tenacious joke-telling of IronPigs media relations director Matt Provence, who MCed the event. Bad jokes are an art form in and of themselves, and Provence is clearly dedicated to the craft. 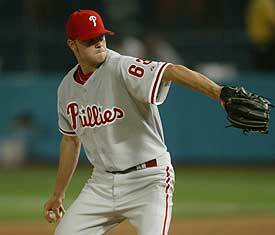 — Off-the-cuff interviews with Phillies bullpen stalwarts Ryan Madson and Scott Eyre, conducted by announcer Tom McCarthy. 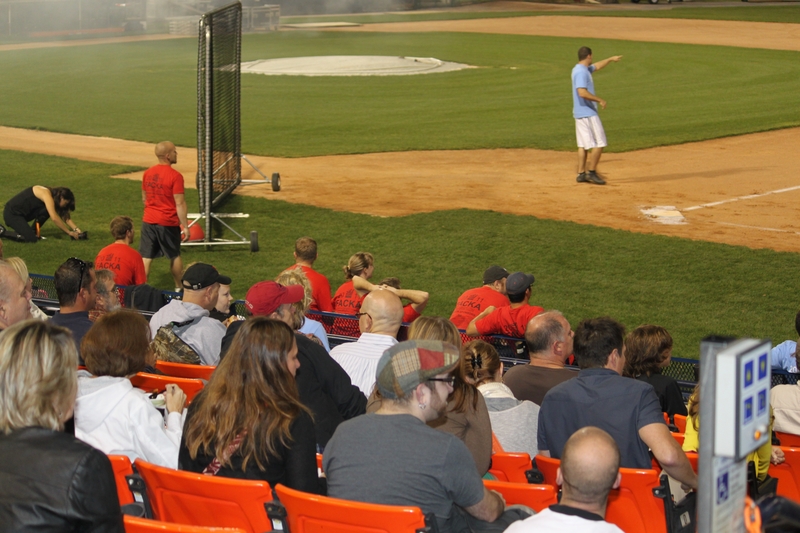 While off-season Caravan and Hot Stove events will never rival the enjoyment of spending an evening at the ballpark, they are still excellent ways to get the community thinking about baseball while raising money for charity. 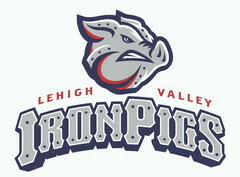 Also, the manner in which they are run inevitably say a lot about the commitment and competence of the front office staff, and the IronPigs obviously have a good thing going in Lehigh Valley. Special thanks goes out to director of community relations Sarah Marten, who extended the invitation for me to attend the Caravan, and also did a tremendous amount of work to make the event go off without a hitch. More blog content tomorrow, for sure. For the first time in little while I’ve got a small backlog of material, which is a most encouraging development. Thanks to all who got in touch with topic suggestions. For those who don’t follow the world of Minor League Baseball very closely, a common misperception is that teams more or less go into hibernation during the offseason. Sure, someone might occasionally stop by the office to check the phone messages and pick up the mail, but that’s about it, right? Wrong! 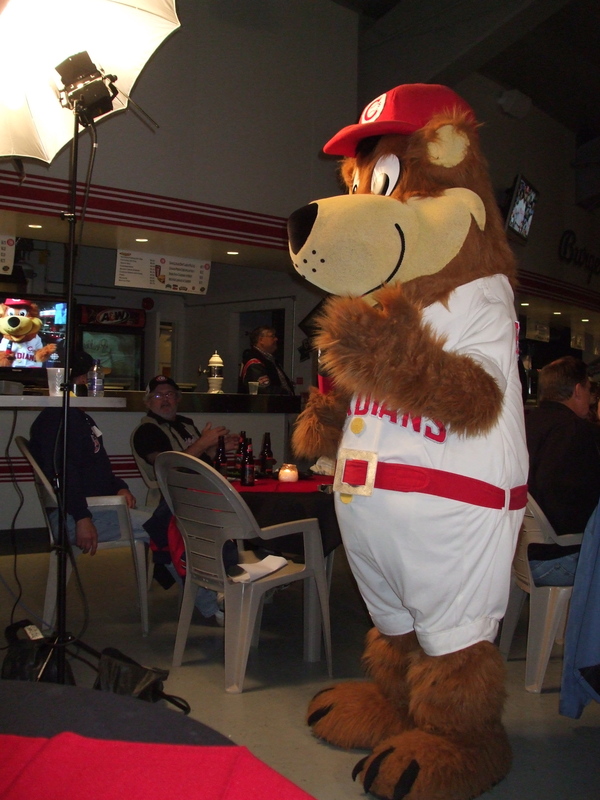 In the Minor Leagues, not even bears go into hibernation during the offseason…even if said bear is employed by a short-season ballclub AND lives in a foreign country. For proof, journey with me all the way to the exotic locale of Vancouver, Canada, the home of the sensibly-named Vancouver Canadians. 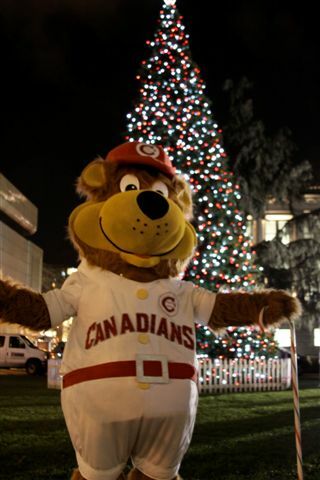 The club’s mascot Bob Brown Bear has been working overtime in order to spread holiday cheer while simultaneously keeping the Canadians baseball club in the hearts and minds of the Vancouver citizenry. So, there you have it folks. 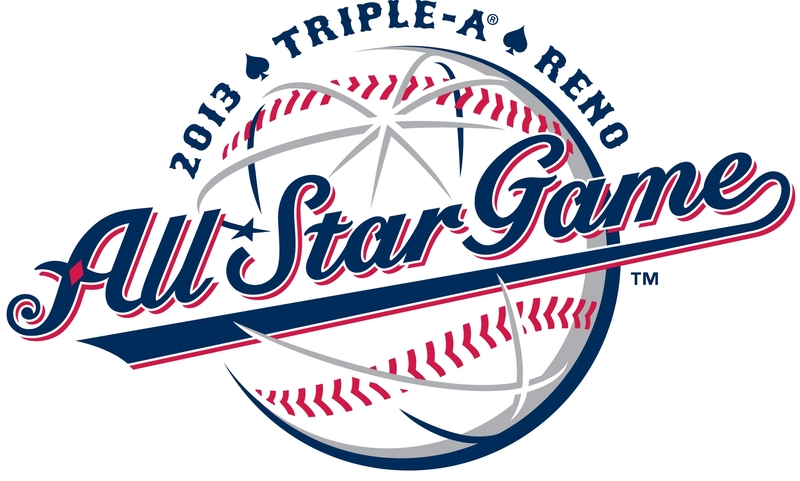 Just another quick glimpse into the YEAR-ROUND operation of a Minor League franchise. Ben’s Biz Blog moved into its second year of existence this past week. Practically speaking, this means that when I am bereft of blog-worthy material I can simply look back to what I was writing last year and repeat the process. 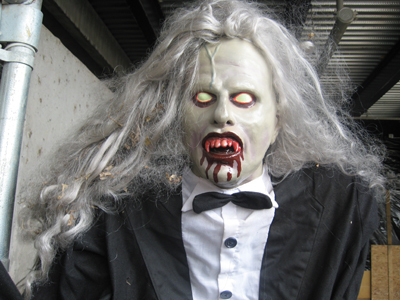 And what I was writing about last year at this time was this: Haunted Houses in the Minor Leagues. 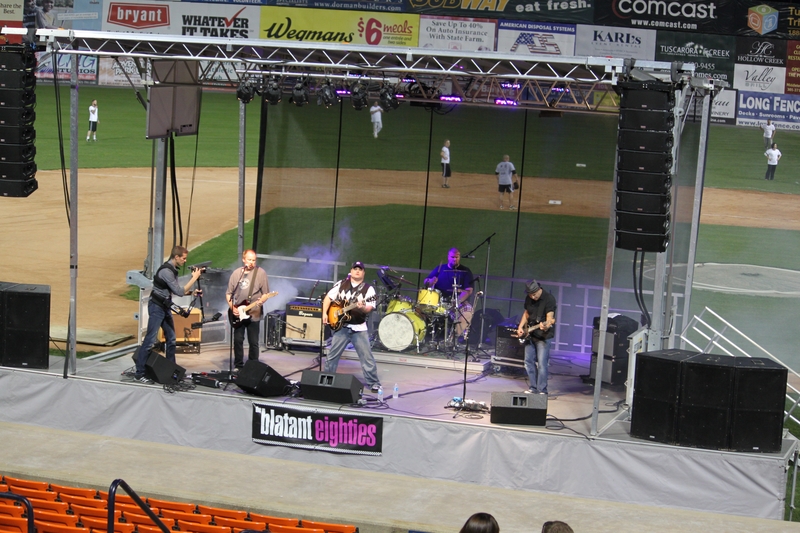 — In Bowie, the Baysox are running “Country Terror”. Given the relatively steep admission charge of $20, one can only assume that this 20-minute indoor adventure is of superb quality. 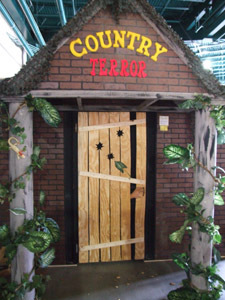 In the Country Terror press release, general manager Brian Shallcross claims that “Country Terror” will “scare your Baysox off!”, which is certainly a claim that cannot be taken lightly. In a further display of the Baysox’s commitment to the Halloween cause, the club has also taken to calling their city of residence “Booooowie”. the Crazed Chain Maze.” (source: this fine blog). I consider myself to be an “erstwhile young reporter” (in fact, I am identified as such on my business card), so there’s no way I’m going anywhere near this one. 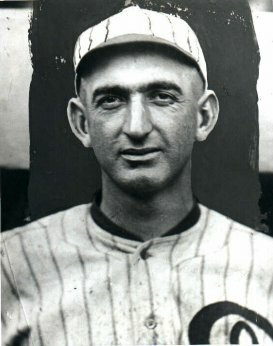 Shoeless Joe would try to kill me — again! It’s a long story, and one I hope to explain in detail at some point in the near future. Generally, I do not like to write posts that contain bite-sized morsels of information on disparate topics. As someone who pretends on a daily basis to be a serious and influential journalist, I take great pains to insure that my unsolicited Minor League PR work is detailed and in-depth. How else can I justify to MLB.com that I am “special” to them? Not today, however. Not today. There are just too many things to write about, and little time in which to do it. So, without further ado, let’s go to the Bullet Points! — Last week, I wrote a post on the Quad City River Bandits‘ innovative “You Pick the Improvement” contest. After soliciting suggestions over a three-week period, the club is now having fans vote on which of six improvements they would like to see made to Modern Woodmen Park. I voted for “Permanent Playground for Kids”, largely because the temporary play areas of my youth always resulted in heartbreak and disappointment. and PROCEEDS BENEFIT THE MIRACLE LEAGUE OF CORPUS CHRISTI. Kudos to the Hooks for coming up with an innovative and charitable way to stay in the public eye during that baseball-deprived time of year. All that I can add to this is that I would love to see more teams follow the Bulls’ lead. 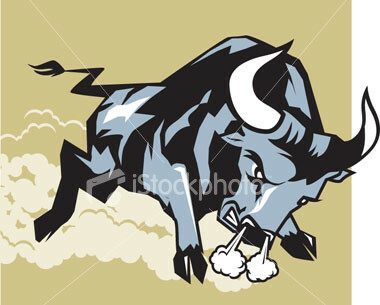 After all, it is better to follow a Bull than have a Bull follow you. — I have more Minor League news at the ready, but as a staunch proponent of the Rule of Threes I must conclude today’s post. I have to get my affairs in order here in NYC, as I will be spending the rest of the week in beautiful Austin, TX, at the Minor League Promotional Seminar. See you there, industry. Drinks are on you. I really and truly do my best to highlight as many teams as possible on this blog. I really do. The more the merrier, is what I always say. In fact, I just said it, as I typed the previous sentence. But some teams are bound to receive more coverage than others, because some teams are always coming up with attention-grabbing stunts. One such team is — you guessed it — the Fresno Grizzlies. So here we go again with yet another Fresno Grizzlies’ post. whatever institution you’ve committed to. Just kidding. In the above paragraph, I just appropriated a quote from David Simon in which he talked about his show The Wire. But, if the first episode of “I Hate the Offseason” is any indication, then it will be better than The Wire. 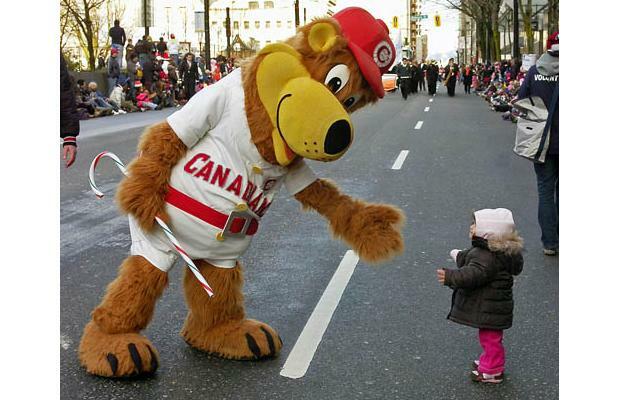 None of the characters in that show were mascots. — The Grizzlies are one of 10 teams who have been nominated for MiLB.com’s “Promotion of the Year.” Vote for your favorite now! Voting ends on Wednesday, at which point I hope at least 10,000 people have made their voices heard. As of Thursday afternoon at 3:47 p.m., the total stands at 2,327. 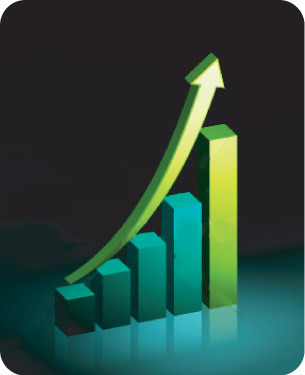 — The “Promotion of the Year” article has resulted in a massive spike in traffic here at Ben’s Biz Blog. Yesterday, in fact, was the most successful day in the history of this blog. Thanks for visiting, and please check back each and every day for the rest of your life. Or mine, whichever ends first. 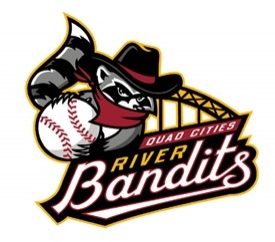 The Quad Cities River Bandits are coming off a very successful 2008 campaign, in which they aggressively rebranded themselves after several lackluster seasons as the Swing of the Quad Cities. 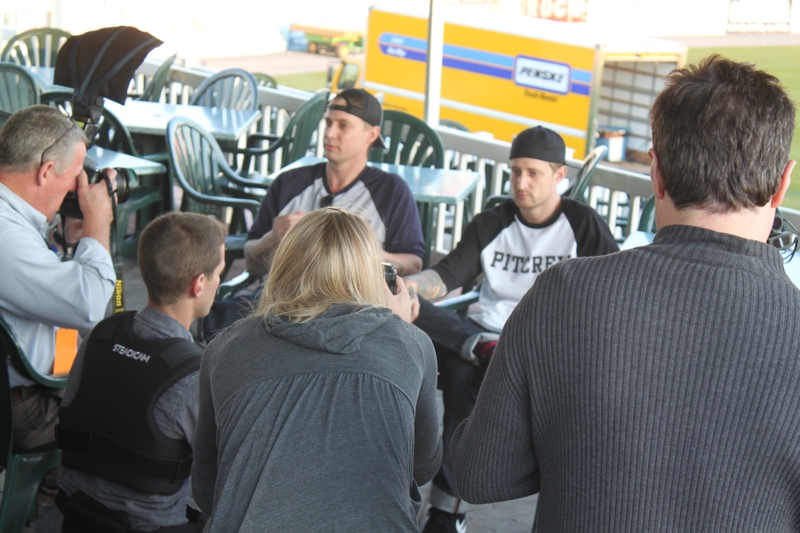 Attendance at Modern Woodmen Park increased by a remarkable 39% as fans flocked to see this new-look ballclub. 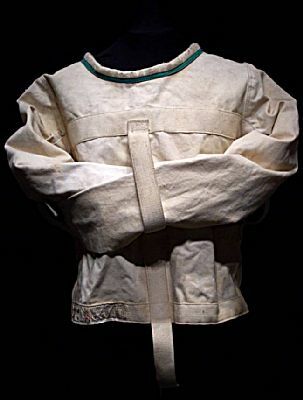 Innovations such as these served to increase the club’s profile even further, inspiring some fans to go to extreme lengths to express their devotion. But even though the River Bandits are riding high, they are aware that there is always room for improvement. But what to improve? That’s for the fans to decide! The River Bandits are in the midst of a their two-pronged “You Pick the Improvement” contest, in which fans will select the next addition to the Modern Woodmen Park experience. Through September 19, the club is asking fans to visit http://www.riverbandits.com and submit their suggestions. These suggestions will then be whittled down to six finalists, and the winner will be determined through an internet fan vote. The forward-thinking individual who makes the winning suggestion will recieve a pair of 2009 season tickets. — No more references to this blog being “fine”, “esteemed”, or “up and coming”. — Somehow, resolve that at least 25% of content is derived from something other than a press release. — Come to the realization that no one appreciates subtle references to bands I liked in high school and college. — Stop making pandering and increasing desperate attempts to get vast cadre of loyal readers to leave comments. When it comes to the this here Biz Blog, I am still having some trouble establishing an offseason groove. After five months of relentless activity, it is tough to adjust to the somewhat slackened pace. 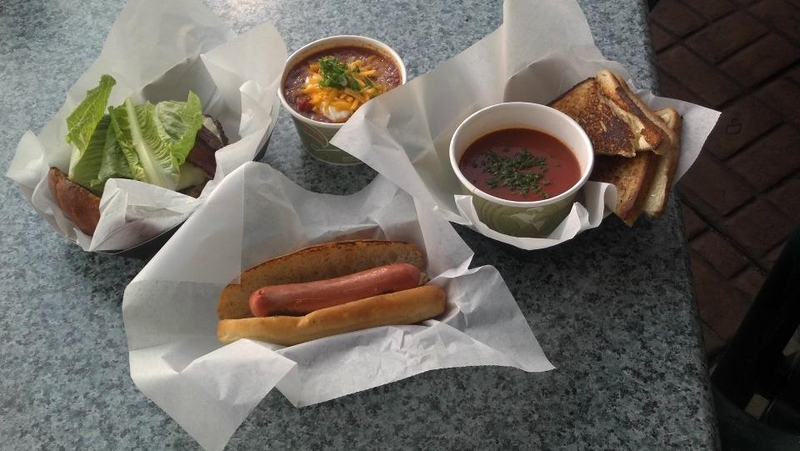 But one club who is not having this trouble is the Charleston RiverDogs, who will be using their promotional savvy and impeccable facilities in order to put on a first-class event this Saturday. 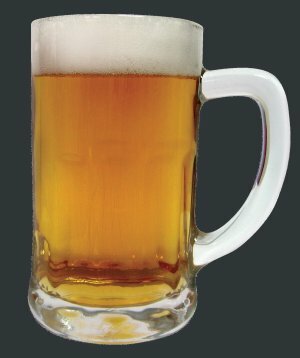 first 1,000 people will receive a commemorative sampling glass. 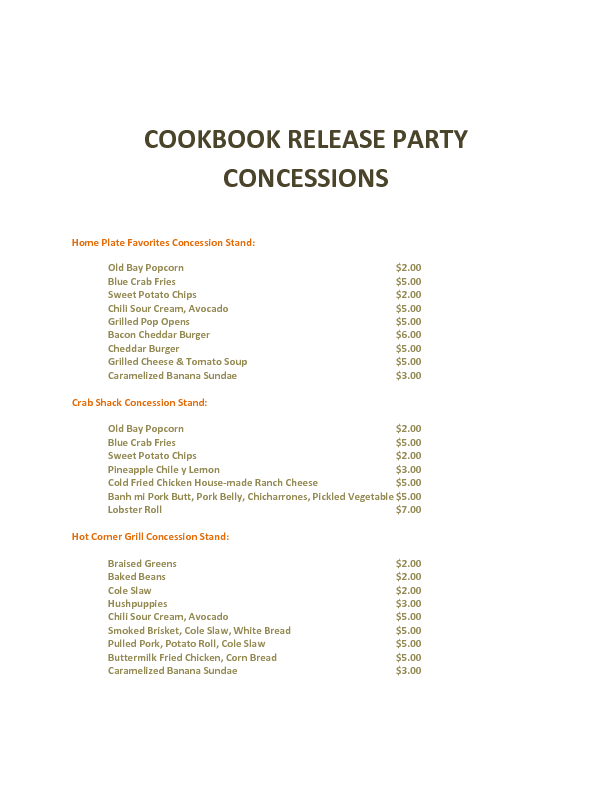 And regular readers of this blog will remember that the concession stand offerings at Charleston’s Joseph P. Riley Stadium are anything but ordinary. Regular readers will also be aware that this is the first time that immortal rock gods Spunjwurthi have ever been mentioned. 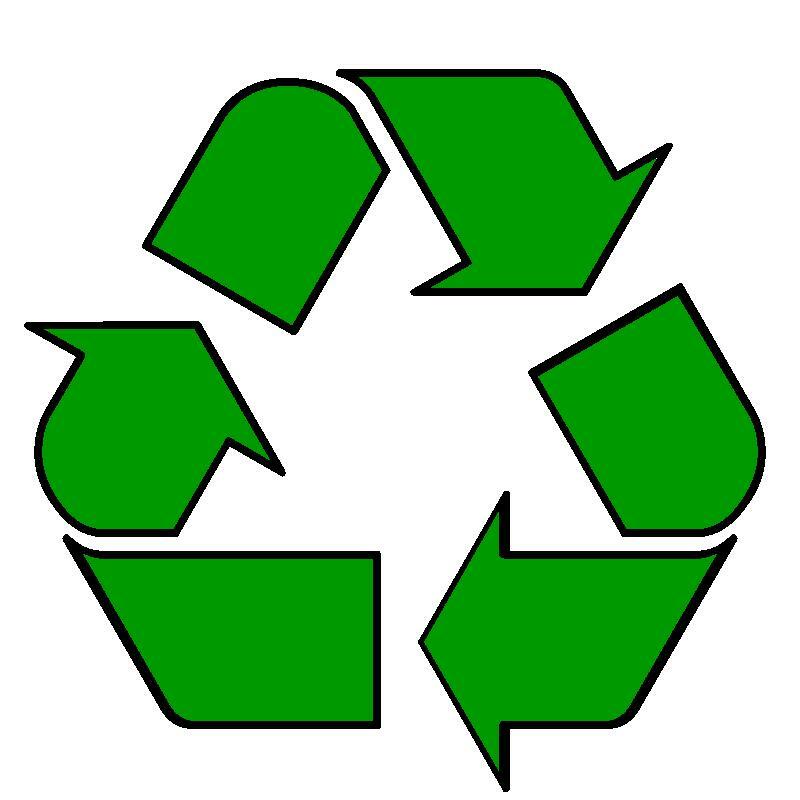 In an attempt to be more environmentally friendly, Ben’s Biz Blog will rely more and more on recycled content throughout the offseason. Get used to it!